Mobile phones have come a long way from the huge brick-like contraptions from the 1990's (I bet your teacher had one). The dominance of smart phones has completely changed the way in which we think about a mobile phone: from being a simple device for making phone calls, to a device that can do as much as a laptop computer. It's not just the hardware that allows it to be so useful. Its some really vital software called the 'operating system' that is needed too. Parisa Eslambolchilar and Simon Walton of Swansea University tells us more. You've probably heard a lot about Android already - but what exactly is it? Android is an operating system for smart phones made by the company Google. An operating system is the software that has direct control of the hardware that applications are to run on. When an app wants something done it talks to the operating system. The operating system then talks to the hardware to get it done. Much like your computer at home has an operating system such as Windows or Mac OS X, smart phones also need an operating system such as Android to manage all of the complicated equipment inside the phone. 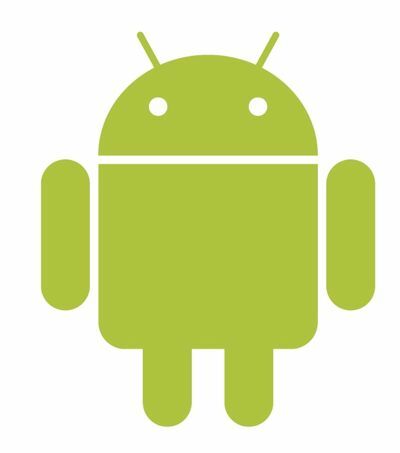 Android also provides an easy way for software developers to produce new applications that run on the phone, allowing it to do lots more that just that provided when the phone is bought. The operating system provides things like easy ways to connect to the Internet, ways to access the computer's sensors, ways to make things appear on the screen or read in things you type, not to mention putting it all together into an interface that makes apps easy to launch and use. Having an operating system means app writers don't need to know the details of the specific computer or phone hardware being used. They just write code to work on the operating system. The people who write the operating system worry about how you get the different hardware platforms to do all those different things. Most smart phones on the market have a bunch of sensors that let the device understand its environment, so for phones an important job for the operating system is to give easy ways to use them. For example, most smartphones have a proximity sensor at the front of the phone that allows the phone to detect when you bring it close to your head to make a phone call - this then allows the phone to switch off the screen during the phone call, saving energy. Pretty clever! Another type of sensor that most smart phones now include is the accelerometer. It detects movement of the phone. The accelerometer readings are similar to seismographs that measure earthquakes, providing a continuous graph of the phone's movement. The operating system takes the readings from all the sensors and provides easy ways for apps to make use of them - without every app writer having to start from scratch processing the raw numbers coming from the sensor. That's what makes apps so easy to write and why there are so many of them. The nice folks who wrote the operating system saved the app writers lots of work leaving them to focus on doing novel things with all those sensors!